Park Plaza Beijing Wangfujing Hotel is a modern oasis, ideal for both leisure and business guests. Centrally located in the heart of Beijing's bustling and developing cultural, commercial, business and entertainment district, the hotel is within walking distance of the Forbidden City and Tiananmen Square. Three unique restaurants offer a wide range of cuisines. Designed in Western style, rooms all feature stunning views of the city skyline. The modern guestrooms are equipped with complimentary high-speed Internet access and cable/satellite TV with premium channels. 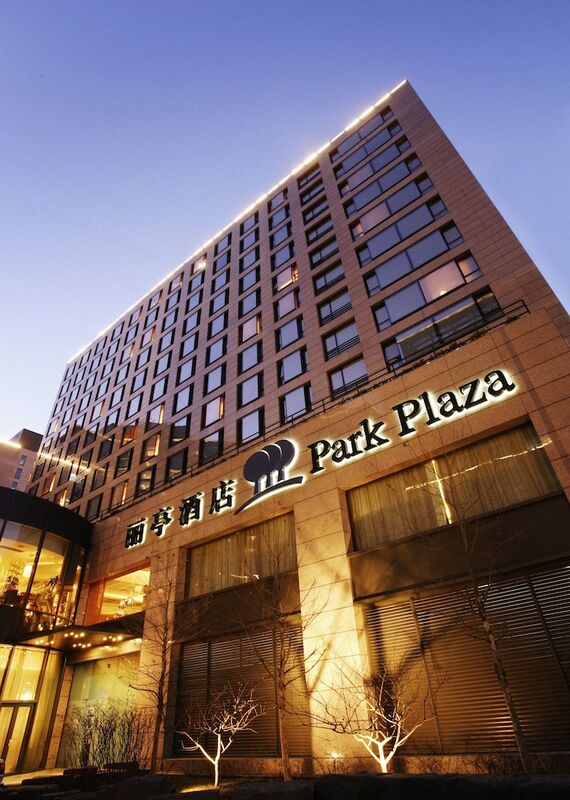 Park Plaza Beijing Wangfujing is a 15-storey building with 216 modern guestrooms. The hotel is located along Beijing's famous Wangfujing Road, close to Tian An Men Square and the Forbidden City, making it central for business and leisure. Shopping is conveniently located at the adjacent Regent Hotel. Other amenities include ATM, conference center, luggage storage, and airport pickup (on request; surcharge). Business center: The business center amenities include copying, faxing, and word processing in Chinese and English. Internet access: High-speed Internet access is available in the conference/meeting rooms and business center. Conference/function room(s): There are 3 conference/meeting rooms. The largest, The Grand Salon, is 117 square meters (1,259 square feet) can accommodate up to 100 guests in cocktail style. Salon 1 is 40 square meters (430 square feet) catering for up to 20 guests. Salon 2 is 23 square meters (248 square feet) and caters for up to 10 guests. Other: For larger conference space and banquet facilities, the Park Plaza can arrange The Regent's conference facility which is located adjacent to the hotel. There are also 24-hour fitness facilities. A buffet breakfast (surcharge) is provided 6:30 AM - 10 AM each morning in the restaurant; it is complimentary for Plaza Club rooms guests. The First Lounge Bar - Located on the lobby, furnished with upholstered chairs and ottomans. The exciting menu changes monthly. The bar provides a full range of drinks and serves light meals. Open from mid-morning ‘til late evening. Ooodle - A catchy name that highlights the restaurant's cuisine - noodles. Offers Japanese- and Asian-style noodles with special take-away menu. Open from mid-morning ‘til early evening. Room service - Available 24 hours-a-day. Start your morning with a buffet breakfast, available each day from 6:30 AM to 10 AM for a surcharge. Room service is available around the clock. The Park Plaza Beijing Wangfujing has a fitness centre equipped with cardiovascular and strength training machines. Airport shuttle service is available on request from 9:00 AM to 9:00 PM. Fees may apply. Contact the property in advance to get details. Rollaway/extra beds are available for CNY 350.0 per night.